Many people, including Mr. Hazlewood, claim that NASA actually sighted Planet X in 1983, and it was reported in the Washington Post! The article claims that two scientists named Neugebauer and Houck used the Infrared Astronomy Satellite (called IRAS) and found a Jupiter-sized object a few billion kilometers out from the Sun. This turns out not to be the case. Rather than rely on the accuracy of a newspaper article (and you can find out how accurate those are elsewhere on this site) I did something that never occurred to the doomsayers: I sent an email to the two astronomers asking what happened back in '83. Gerry Neugebauer replied, and told me the real poop. IRAS was designed to look in the far-infrared, well past what our eyes see. At the time, no one was really sure what it would find. To everyone's surprise, several bright point sources were found that did not correspond to anything seen on optical images taken of the same areas. In the press conference, the two scientists said that these objects could be almost anything, from a tenth planet in our solar system to distant galaxies. Guess which it turned out to be? Sure enough, much deeper images were taken, and some of the objects were found to be dense gas clouds in our own Galaxy, while others turned out to be very distant galaxies. In fact, these observations heralded the discovery of a new type of object: Ultra-luminous Infrared Galaxies (ULIRGs). These are galaxies in which there is a burst of stars being born. The cocoons of dust in which the stars are enshrouded generates copious infrared, which is what was detected by IRAS. They published these results in the prestigious Astrophysical Journal, and you can even read it yourself. So IRAS did not see Nibiru, Planet X, or anything of the sort, despite the claims of the doomcriers. Of course, they now claim that NASA is clamping down on the press for Planet X. The original Post article, they say, was hastily retracted due to pressure from the NASA thugs. Of course, the doomcriers have absolutely no evidence of this (because, of course, this claim is wrong), but they continue to state it as if it is fact. It is nothing of the sort. They like to make claims like this for many reasons: it generates an "us vs. them" mentality, which is great for conspiracies, and it helps sell books and/or videos. But it's wrong at best and a lie at worst. A good page with a lot of detail about the IRAS observations is written by Tom Chester, an astronomer on the original IRAS team that found the mystery sources. Straight from the horse's mouth, if you will. You can also read more about IRAS and Planet X at the Planet X and the Pole Shift website, which also has a copy of the original Washington Post article. Mr. Hazlewood and many others on the web claim that Planet X is a brown dwarf. As strongly as I can make this claim, this is impossible. Why? 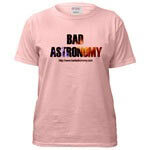 Because of what a brown dwarf is. We are familiar with stars, which are luminous balls of gas that fuse elements in their core. Stars are massive enough that the pressure and temperature in their cores are enough to maintain fusion. Planets are smaller, cooler objects which are, in general, not self-luminous. Planets are bright because they reflect sunlight. Their mass is too small to have fusion in the core. A brown dwarf is an object that is somewhere in the netherworld between stars and planets. By definition, a brown dwarf is an object that has a mass less than is needed to sustain fusion, and at the lower mass end they blend into planets. For more detail, you can read my pages about brown dwarfs here and here. Brown dwarfs are born hot, since they are formed, like stars, from a collapsing cloud of gas and dust. This process makes a lot of heat, sometimes enough that even a brown dwarf can have fusion in its core, at least for a while. But they cannot maintain that fusion, and eventually cool off. A mature brown dwarf glows in infrared. It has a temperature of something like 1000 to 2500 degrees Celsius. An object that hot puts out very little visible light, but gives off more infrared. Not that they're all that bright: they are so faint that the first brown dwarf discovered, named Gliese 229b, eluded detection until 1995! It glows feebly at about magnitude 25 in visible light. That makes it roughly 1/40,000,000th the brightness of the faintest star visible to the unaided eye, and takes a fair sized telescope to see at all. However (and this is a big however), Gliese 229b is a long way off: about 18 light years away, or roughly 200 trillion kilometers! If we go with Mr. Hazlewood's claim that Planet X is a brown dwarf, we can assume it is much like Gliese 229b. At a distance of even Pluto's orbit, Planet X would be a billion times brighter, glowing visibly at magnitude 2, making it a relatively bright star! Mind you, as I write this (July 2002) it must be significantly closer to us than Pluto, and proportionally brighter. It would be the third brightest object in the sky (only the Moon and Sun would be brighter). We don't see it, which leads me to the conclusion that it doesn't exist. Even if we assume that, somehow, magically, Planet X does not glow in the visible (even though Mr. Hazlewood claims many times in his book that it does indeed glow), it would still reflect sunlight. A brown dwarf has about the same size as Jupiter (due to the way planets behave, piling more mass onto Jupiter won't make it bigger, it'll make it denser). Jupiter is actually the fourth brightest object in the sky, so a reflecting brown dwarf would be similarly bright. However, again, we don't see it. Finally, a brown dwarf may be puny compared to a star, but can be very massive compared to a planet. Ms. Lieder claims that Planet X has a mass something like 5 times the Earth's mass, which is more like a normal planet than a brown dwarf. Either way, something this massive plowing through the solar system would be greatly affecting the orbits of the outer planets. However, the planets appear to be just where they should assuming Planet X does not exist. Conclusion: Doomsayers claim Planet X is a brown dwarf (or even a massive planet). However, it's not hard to see that there can be no such brown dwarf anywhere near the Earth. Therefore, the claims are wrong. Planet X is claimed to be on an orbit that brings it close to the Sun every 3600 years. Now, if we assume that this orbit obeys the laws of gravity, then we can calculate its distance at any given time. This depends on the math of gravity, which is pretty well understood. However, the equations used to figure distance based on orbital velocity are not simple, but I used the method as described by Dr. Joseph Gallant, Assistant Professor of Physics at Kent State University, which allows for plug-and-chug solutions. I find that in one year, Planet X must be about 900 million kilometers away from the Earth, give or take a hundred million. This is much closer to Earth than Saturn, and just a bit farther than Jupiter! I have written up detailed notes on how I arrived at this figure: what assumptions I made and how I calculated it. They are on the "Planet X and Orbit Math page. There is a fair bit of math there, but hopefully I have made it clear what I did and why I did it. So, Planet X was roughly the same distance to us a Saturn in May 2002, it should have been at least as bright as Saturn and getting brighter by the minute. Saturn is one of the brightest objects in the sky. We see nothing like this, so again I conclude Planet X does not exist. Of course, Mr. Hazlewood claims that we do not understand gravity, but that's completely incorrect. We understand gravity well enough to calculate orbits for comets and asteroids and send probes to other planets. If Planet X doesn't obey the laws of gravity as we know them, then it's magic, and then he's wrong anyway. A whole team was contacting every observatory in France -- just sent a message. The Neuchatel observatory got it. They are very excited, wondering if it is a comet or a brown dwarf, through the latest coordinates given. The daughter of the astronomer reports that they suspect a comet or a brown dwarf on the process to becoming a pulsar since it emits "waves." To be perfectly blunt, this quotation is just plain silly. First, a comet is easily distinguishable from a brown dwarf using an optical telescope: the brown dwarf appears as a star, while a comet has a distinctly fuzzy appearance. Second, a brown dwarf cannot become a pulsar. A pulsar is formed when a massive star (100 or more times the mass of even the largest brown dwarf) explodes as a supernova. The core collapses, forming a neutron star. This rapidly rotating ultradense object can emit two beams of light like a lighthouse does. We see these beams as rapid pulses, hence the term "pulsar". But a brown dwarf cannot form a pulsar. Third, everything emits waves. A star does, a pulsar does, a comet and brown dwarf do, you do. Anything above absolute zero emits electromagnetic waves, so that statement by Mr. Hazlewood's anonymous mole is particularly weird, and non-informative. In other words, it's meaningless. Even if this informant meant pulses from a pulsar, it's still wrong, since a brown dwarf cannot become a pulsar. Incidentally, the Neuchatel Observatory is in Switzerland, not France. Mr. Hazlewood's informant didn't even get that part right. I'll be adding more to this page as time allows. Please come back every now and again. Until then, check out some other Planet X science blunders at the Planet X and the Pole Shift website.